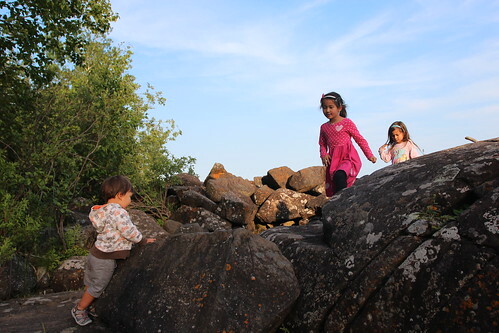 Mali Mish – Minnesota: July 2014. 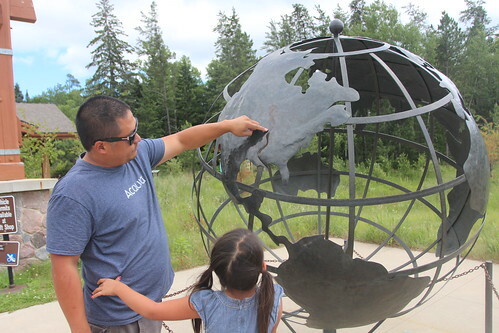 Last time we were in Minnesota, we pretty much stayed only in the southern portion of the state as we came up from South Dakota. 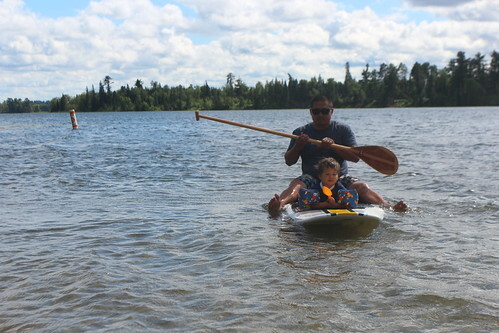 Since we are back again, we are making sure we are making our way into the northwoods to see what Minnesota is all about. 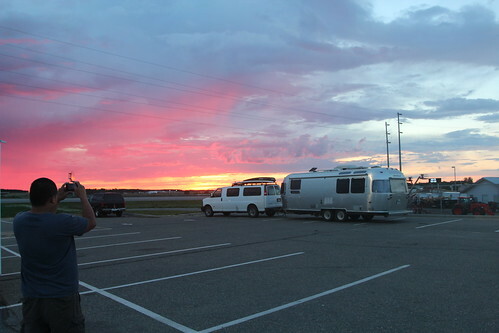 From Fargo, we made it all the way to Bemidji and were greeted with this sunset. Nicely played Minnesota, we like. 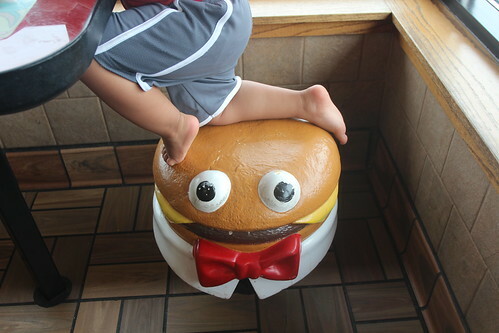 During one of our stops at a nearby McDonald’s, we found a vintage Hamburgler that Marlene remembered as a kid. Not here, but nevertheless she remembers a seat just like this at a McDonald’s. 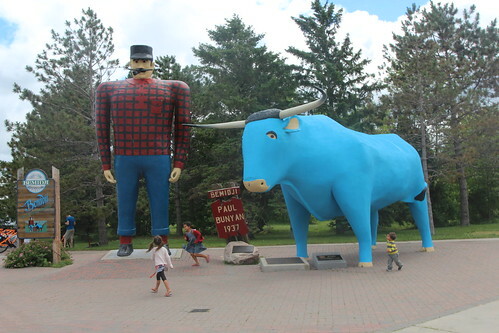 Bemidji is one of many cities around the country that proudly sports a Paul Bunyan and Babe the Blue Ox statue. Arguable, this is one of the most famous ones thanks to the recent hit TV show, Fargo. We haven’t seen the show but so we’ve heard. 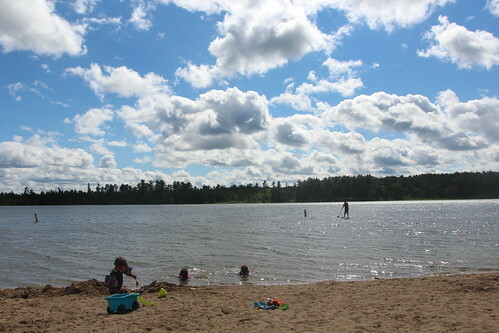 Just outside of Bemidji is Itasca State Park. It is here that the Mississippi River begins and makes its way to the Gulf of Mexico. 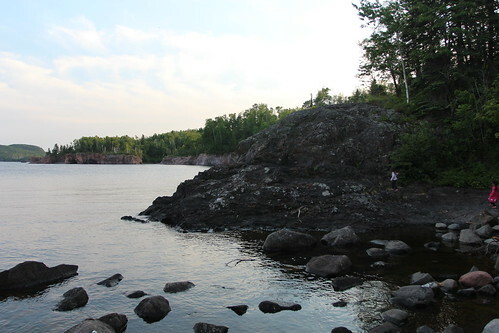 Right over these rocks we have Itasca Lake. On the other side is the Mighty Mississippi. 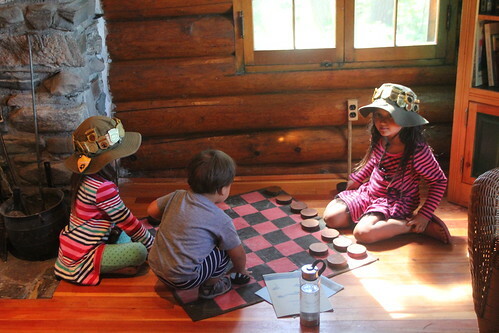 We pulled one of our usual moves here at Itasca. We just paid for the day use fee so we can hang out here all day. By night, we will move on to our next spot. 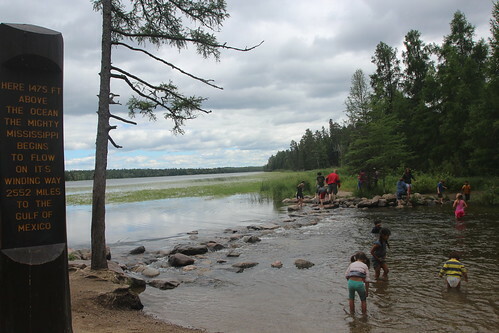 That day use fee got us to see the headwaters as well as taking a dip in one of the thousands of Minnesota lakes. 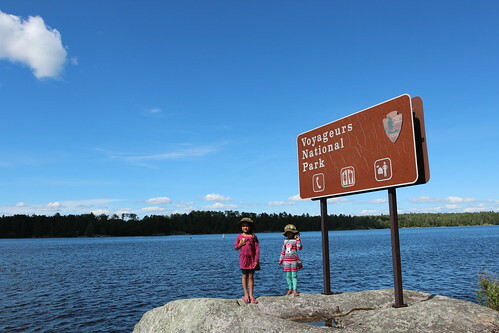 After we left Bemidji, we needed to figure out where to stay so we can head up towards Voyageurs National Park. It is one of these hard to get to places where if you do not make a point to visit, you will never casually drive past it. 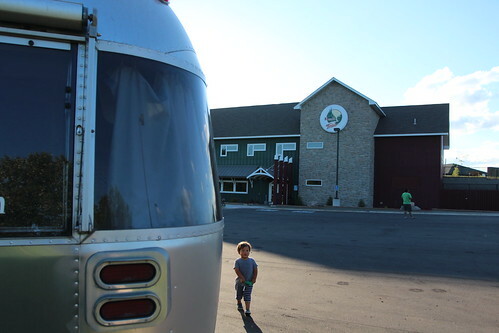 We made our way to the town of Eveleth, just south of Virgina, Minnesota. 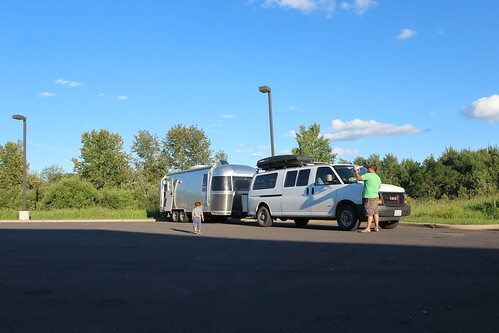 Here is another pro tip, if you don’t want to drag your trailer around while you are sightseeing and you don’t want to pay for a campground, ask the local Chamber of Commerce or town visitor center if they will let you unhitch for awhile. They have every reason to say yes. 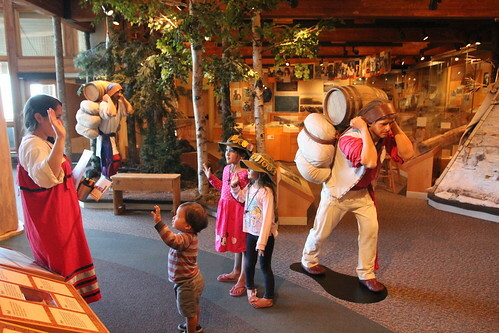 From Eveleth we dropped off the Mish and headed north to see Voyageur National Park. 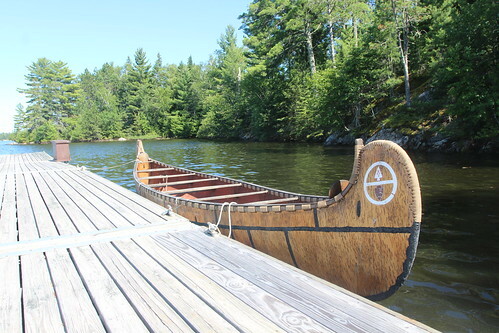 The voyageurs are the traders that paddled canoes down from Canada to trade fur with the Indians in the 1800s. These were hardy dudes that endured terrible weather and arduous conditions for months on end. 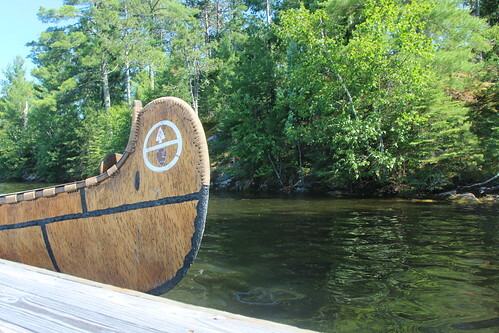 Most of the park is only accessible by water so we did out best to learn and see what we could. 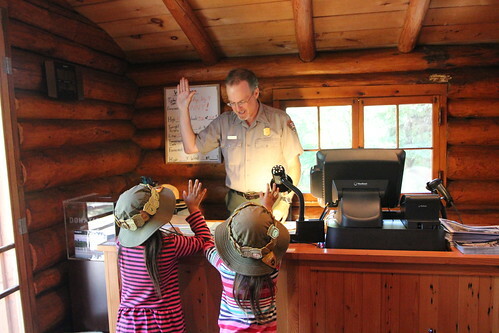 The girls were excited to earn their 50th Junior Ranger badges here. 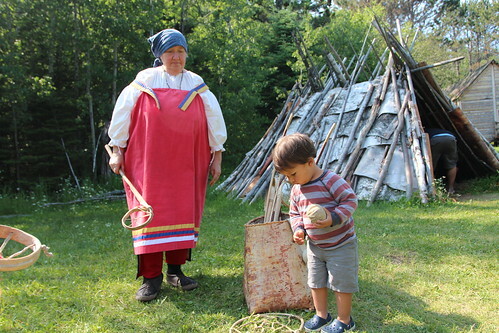 We promised them that there will be a prize at number 50 so there was more enthusiasm than usual. 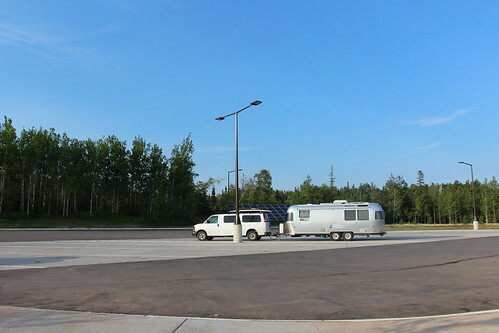 We made it back the Eveleth before sunset and the visitor center was already deserted. 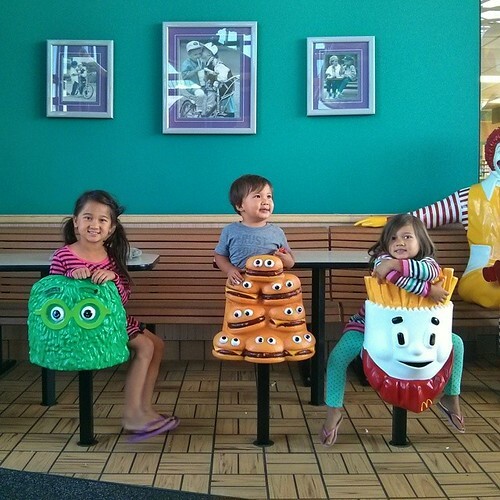 Look at these chairs at another Minnesota McDonald’s. These Minnesotans know what’s up. 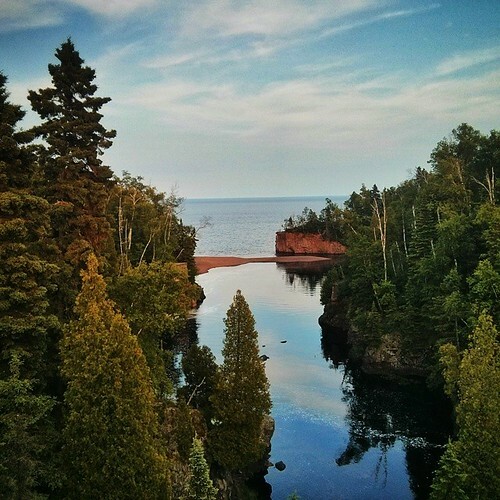 After Voyageurs, we made our way all the way east to the north shore of Lake Superior. 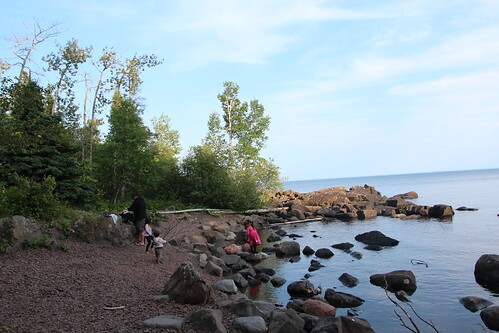 We got to a beautiful state park called Tettegouche but the campground was completely full. Fortunately for us, the park had just built a brand new visitor center and it had a huge parking lot that doubled as a rest area for the freeway. 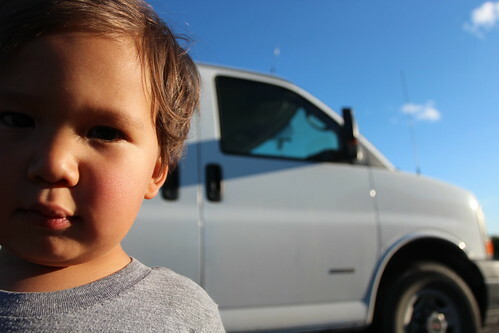 Not only did it allow overnight camping, it had some of the fastest free Wi-Fi we have ever had on the road! 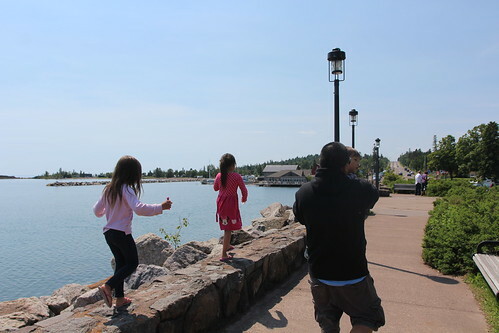 The next day we drove up the north shore to the town of Grand Marais, Minnesota. It came highly recommended by many of our Instagram friends and it didn’t disappoint. 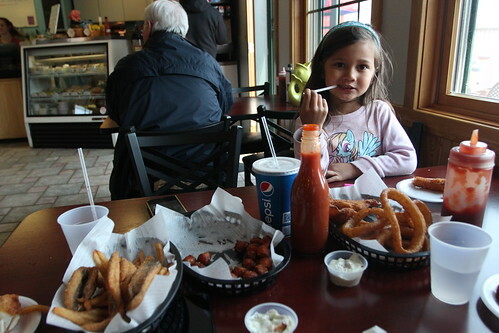 The fish and chips here were fabulous. 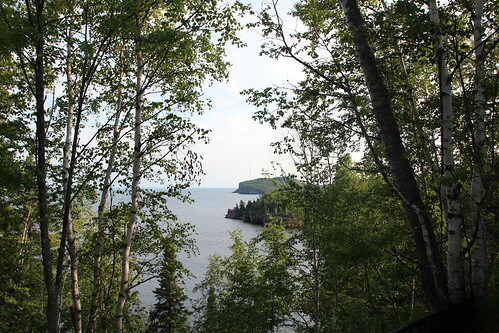 Another National Park Site that is pretty difficult to get to is Grand Portage National Monument. This is practically in Canada. 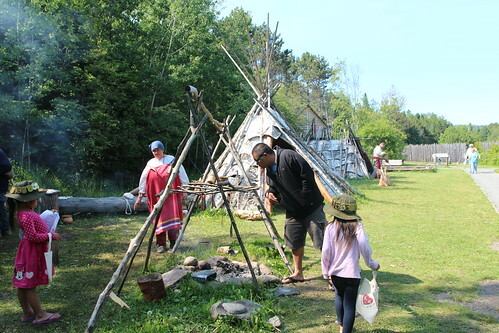 It is here where many of the Voyageurs stopped and exchanged European goods for Indian furs. 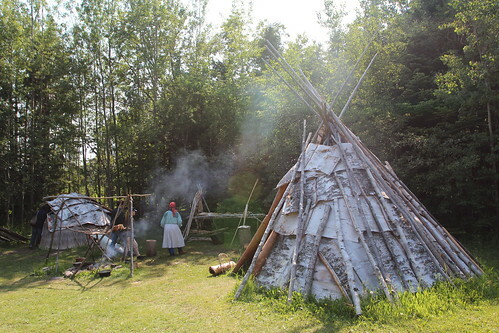 At its peak, it was a bustling trading post. 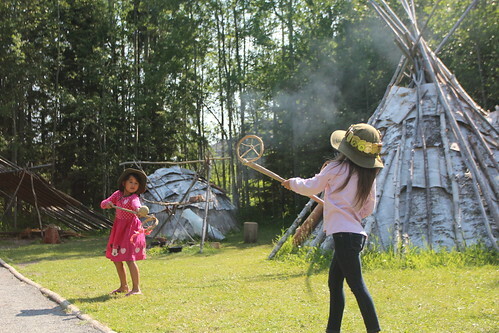 The volunteers at the National Monument showed the kids many of the games the Ojibwe Indians played while living in villages here for thousands of years. 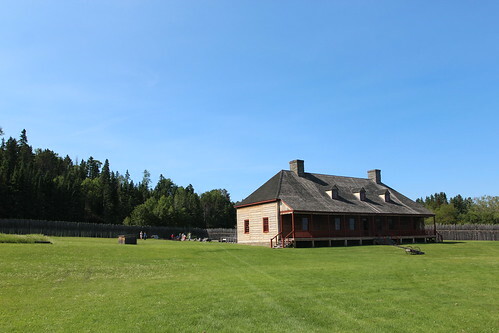 This is the reconstructed building at Grand Portage. 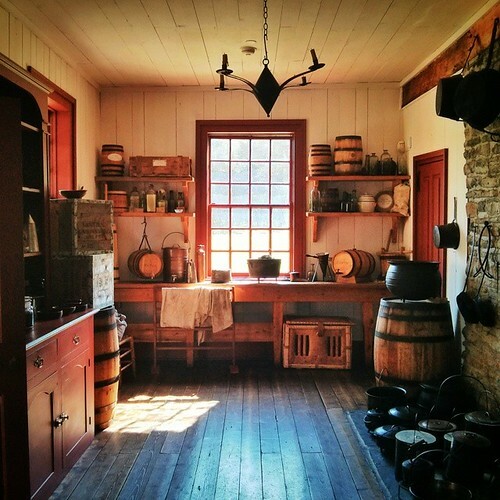 This kitchen would have served hundreds of French fur traders that came through here during its heyday. Badge number 51 for the girls and Luka is getting in on the action. 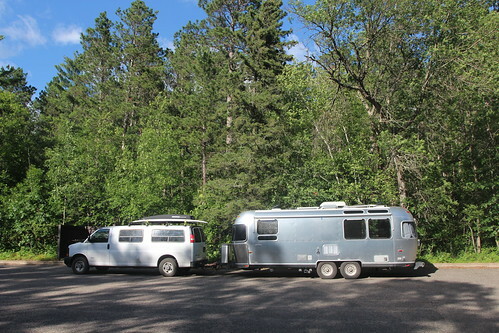 We got back to the parking lot of Tettegouche State Park and hitch up to get ready to head into Wisconsin. 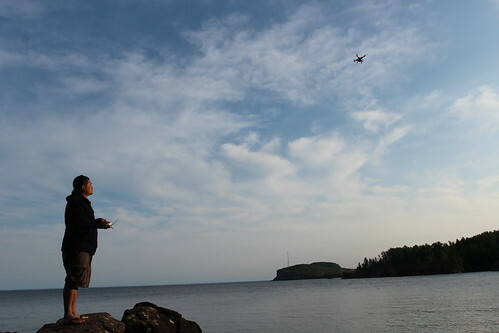 Before we take off, we decided to take a hike down to Lake Superior. 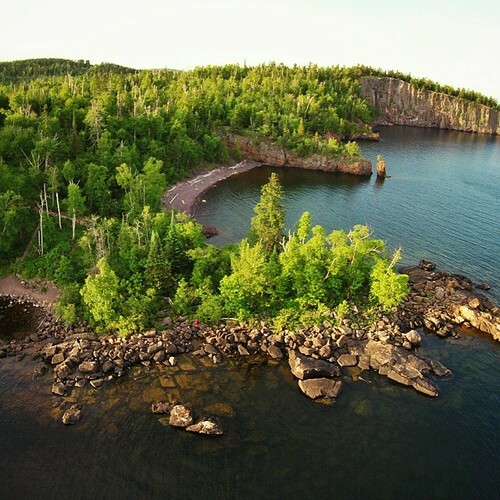 The shoreline of Lake Superior here is absolutely stunning. It reminds us of the pacific coast of Oregon and Washington. Watch this video and you will know what I mean.